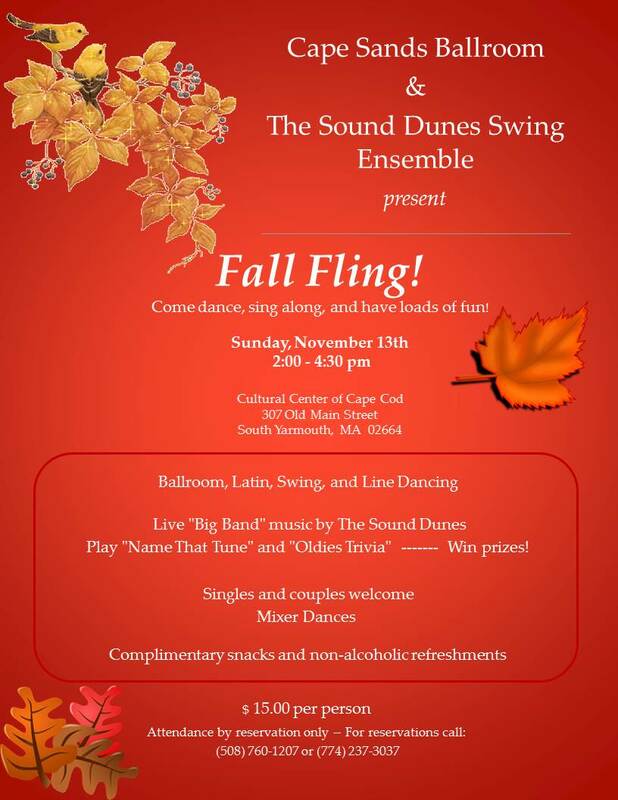 Nov 13 – Fall Fling! Come dance, sing along, and have loads of fun! Play “Name That Tune” and “Oldies Trivia” ——- Win prizes!